This page is aimed at providing you with information, help and links to resources that are either online via the internet or in other digital formats. We encourage students to use these as part of their work and revision towards examinations as part of their GCSE studies. Please note that many staff also provide resources such as lesson slides and worksheets when setting homework for students, please see class teachers directly for these resources. PE Past Exam Papers : All years papers and mark schemes. Structured revision is crucial and can have a dramatic impact on students' GCSE grades, but we know how difficult it can be to persuade some students to get 'stuck in'. In support of our year 11 students and their revision process Park Vale Academy has subscribed to GCSEPod. This resource has been provided completely free to your son or daughter and will be of great benefit to them in their preparation and revision for their final GCSE examinations. GCSEPod has over 3,500 audio-visual podcasts produced specifically for mobile devices, laptops, tablets and PCs and the podcasts can also be downloaded for offline viewing. The podcasts contain all the right facts, quotes, keywords, dates and annotated diagrams that learners need for GCSE success. GCSEPod has been proven to have a significant impact on A*-C performance. Here are some of the best revision techniques from past GCSE students who have achieved top class results to help you understand how you can learn better to improve your GCSE results. ExamTime's Calendar tool is the ideal way to create a revision timetable online which you can easily access at any time. Create your first Online Revision Timetable here. 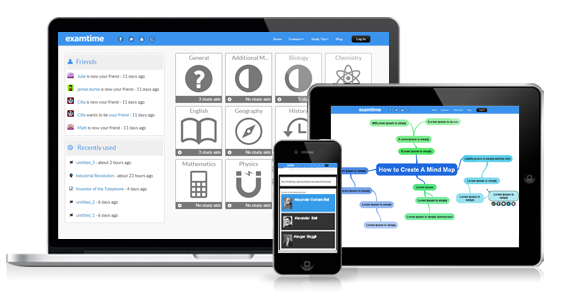 Mind Mapping has many other benefits for students, try this free online tool here. One of the biggest recommendations that past GCSE students recommend is to do as many GCSE past papers as you can. Practicing past papers will help you get familiar with the exam format, question style, time pressure and overall improve your ability to retrieve information quicker. The day of your exam can be the most stressful of the entire examination experience but there are ways which you can minimise your anxiety such as avoiding panicking friends, giving yourself plenty of time to get to the test centre plus don't underestimate the power of eating a healthy breakfast the day of your exams!